You did it! You adopted from the Parma Animal Shelter and can’t wait to introduce your cat to your dog. Your cat gets scared and runs off because your love-bug of a dog wants to play. The first thing to do is to remain calm. The second thing is to continue reading to find out how to introduce a cat to your dog. Cats and dogs may play together and amuse themselves while left alone for long periods. But getting a cat or another cat as company for the other pet(s) does not mean that the animals will require less time from people. All companion animals need to develop and enjoy strong bonds with people, so another animal actually means a larger time commitment from the owner. If you’re considering bringing home another pet, you should also be aware of the potential problems that may develop. The introduction of a new animal is always going to be stressful for a resident pet, and stress has a way of finding an outlet (cats may become un-housetrained, and, in some cases, direct aggression towards their owners, as well as towards the “old pet”, the dog). 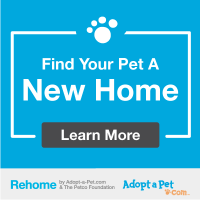 Since introducing a new animal is stressful to the pet residents, it makes sense not to do it at a time when they are already under stress—when you have just moved to a new house or apartment, or when recovering from an illness or injury. Any disruption in their routine is stressful, so it’s wise not to add the stress of a new animal at the same time a dog may be feeling stressed from another cause. Although you’ve arrived at the decision to bring home another pet, your first responsibility is to the ones you already own. You must protect their health. Make sure their vaccinations are up-to-date; take them to the veterinarian for boosters, if necessary. The newcomer must have all his shots, be dewormed, de-fleaed, if necessary, and kept in quarantine, either at the veterinarian’s, a foster home, or in a spare bedroom or bathroom in your house, for two weeks, which should be enough time for any infectious diseases to appear. Since “you never get a second chance to make a good first impression,” how you stage the initial introduction is important. Follow the tips below to introduce a cat to your dog. Move “new cat” into a bedroom or a bathroom with litter, food and water and close the door — both the cat and the dog know there’s something going on behind the door and can start getting used to the idea, slowly, without fur flying and vet bills. Visit the cat frequently but discretely over the next two weeks. He’s very upset about this situation. Clean your hands, lap, etc. thoroughly before coming out to greet a very suspicious dog. Consider wearing an old bathrobe when in the cat’s room — it’s easier to take off the robe covered with the cat’s smells, than to descent your clothes. As time goes by, cut down on the cleanup so the dog smells more and more of the cat on you. Dote on the dog — he needs to know he’s not losing his primary status with you. Feed the dog and the cat near either side of the door to the cat’s room. Don’t put the food so close to the door that they are too upset by each other to eat. This will help start things out right by associating something enjoyable (eating) with each other’s presence. Gradually move the dishes closer to the closed door until they can eat calmly directly on either side. Next, use two door stops to prop open the door just enough to allow the cat and dog to see each other, and repeat the whole process. Switch sleeping blankets between the cat and dog so they have a chance to become accustomed to each other’s scent. Also put the scented blankets underneath the food dishes. Once the cat is using its box and eating regularly while confined, let it have free time in the house while confining the dog. This switch provides another way for the dog and cat to experience each other’s scent without a face to face meeting. It also allows the newcomer to become familiar with its new surroundings without being frightened by the dog. After the hissing and spitting by the closed door subsides, leave the bedroom door ajar (use a door wedge to limit the opening) — the cat and dog can now look at each other, each from within their territories. Don’t rush it. Consider placing a cat carrier, with the cat’s bedding in it, in the living room or bedroom to provide a safe and familiar hiding hole for the cat. If your dog does not already know the commands “sit,” “down,” “come,” and “stay,” you should begin working on them. Little tidbits of food increase your dog’s motivation to perform, which will be necessary in the presence of such a strong distraction as a new cat. Even if your dog already knows the commands, work with obeying commands in return for a tidbit. After the animals have become comfortable eating on either side of the door, and have been exposed to each other’s scents as described earlier, you can attempt a face to face introduction in a controlled manner. Feed both the dog and the cat before the introduction — they’ll be less territorial on a full belly. Put your dog’s leash on, and command him to either “sit” or “down” and “stay,” using food tidbits. Have another family member enter the room and quietly sit down with the cat on his or her lap. The cat should also be offered some special tidbits. At first, the cat and dog should be on OPPOSITE sides of the room. Repeat this step several times until both the cat and dog are tolerating each other without fear, aggression, or other uncontrollable behavior. Avoid any interactions between the cat and dog which result in either fearful or aggressive behavior. If these responses are allowed to become habit, they can be difficult to change. It’s better to introduce the animals to each other so gradually that neither the cat nor dog becomes afraid or aggressive. You can expect mild forms of these behaviors, but don’t give them the opportunity to intensify. If the cat becomes fearful or aggressive, separate them, and continue the introduction process in a series of gradual steps, as outlined above. Next, move the animals a little closer together, with the dog still on a leash and the cat gently held in a lap. If the cat does not like to be held, you can use a wire crate or carrier instead. If the dog gets up from its “stay” position, it should be firmly repositioned, and praised and rewarded for obeying the “stay” command. If the cat becomes frightened, increase the distance between the animals and progress more slowly. Eventually, the animals should be brought close enough together to allow them to investigate each other. Although your dog must be taught that chasing or being rough with the cat is unacceptable behavior, your dog must also be taught how to behave appropriately, and be rewarded for doing so (e.g., sitting, coming when called, or lying down in return for a tidbit). If your dog is always punished whenever the cat is around, and never has “good things” happen in the cat’s presence, your dog may redirect aggression toward the cat. You may want to keep your dog on a leash and with you when the cat is free in the house during the introduction process. Be sure that your cat has an escape route, and a place to hide. Keep the dog and cat separated when you aren’t home until you are certain they will both be safe. Dogs like to eat cat food because it is very high in protein and very tasty. Keep cat food out of the dog’s reach (in a closet, on a high shelf, etc.). Why dogs like to eat cat feces is not well understood but it is a relatively common behavior. Although there are no health hazards to the dog from this habit, it is usually distasteful to the owners. Attempts to keep the dog out of the litter box by “booby trapping” will also keep the cat away as well. Punishment after the fact will NOT change the dog’s behavior. Probably the best solution is to place the litter box where the dog cannot access it such as behind a baby gate, or in a closet with the door anchored open (from both sides) just wide enough for the cat. Always feed your dog alone. Cats should not eat dog food as it may cause dietary deficiencies. Your Cat and Dog Can Get Along! It may take six to eight weeks or longer for cats to settle down. Try not to give the resident dog cause to be jealous and don’t force the animals to be together if they do not get along. Cats will rotate their schedules to accommodate the presence of a dog if they’re not particularly fond of each other. Don’t be disappointed if they never seem close. It may be necessary to provide separate individual time with you, too. Over to you. What tips do you have for introducing a cat to a dog? Share in the comments. Stay up to date with the Parma Animal Shelter! 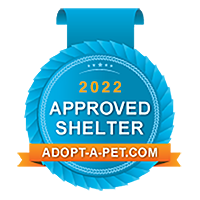 Sign up for Shelter Talk!